1. One of the great experiences of studying the Scrptures is how it doesn’t need to have an immediate impact to be profitable. It can take root and need years of experience and suffering before it bursts into full bloom before your eyes, now glassy with wonder. 2. I listen to podcasts while I run and usually those are about music. I’ve been listening to U2 a lot this week, so I looked for a podcast about them. I was excited to find one almost two hours long about The Joshua Tree. I could overlook their use of the word “like” every other word. I could overuse their insipid use of profanity. 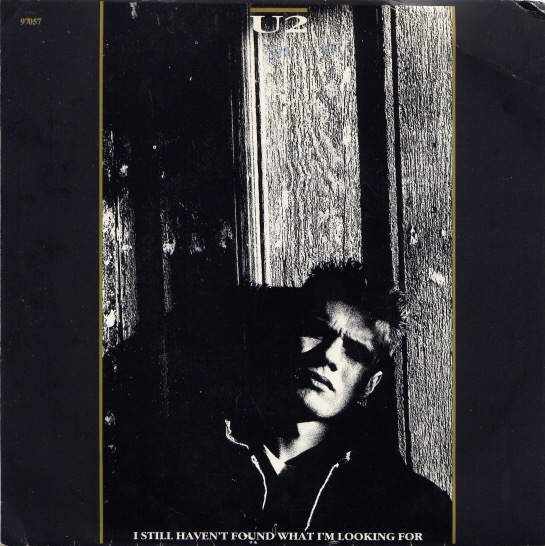 But when they said “I Still Haven’t Found What I’m Looking For” was not a religious song, I could go no further. I mean, the podcast. I kept running. 3. The Cardinals finally won a game. So, the family can now eat again. The fast is broken. 4. Speaking of U2, I was listening to their first album the other day and it reminded me of a time when I began to listen to music as if hanging on for dear life. 5. When you read the book of Acts, you read about men and women consistently harassed and killed by politicians. But the way the early church talked about the politicians is so different than how we do. Everything was seen in terms of God spreading his gospel. You want an argument for evangelism? There it is. 6. I started teaching SS last Sunday and the class was bigger than the last Church I ministered in. Is that exciting? Yes. Is it a little intimidating? You betcha. 7. I try to run over every stick in the road just in case. I’d hate to see that stick slither away to safety when I had a chance to make the world a better place. 8. Using a day off to study and write is not good for one who misses studying and writing during the day. 9. I know what you’re thinking. “All snakes are not poisonous.” Look, that’s just a PR campaign from Lucifer himself. 10. Even when she’s laughing at me, my wife’s laughter is the best thing. And she laughs at me often. Thanks for reminding us of #1. In Alberta you don’t want to get caught doing #7, our rattlesnakes are protected.